Another beautiful find at the local Ross. I need to start a category just for great mirrors found at Ross! This particular one was fairly large about 2' by 1.5' and was for $29.99. What is amusing is that you never know what you will find in shops like this. Its always an adventure. So keep your adventure going in order to stumble upon great finds. 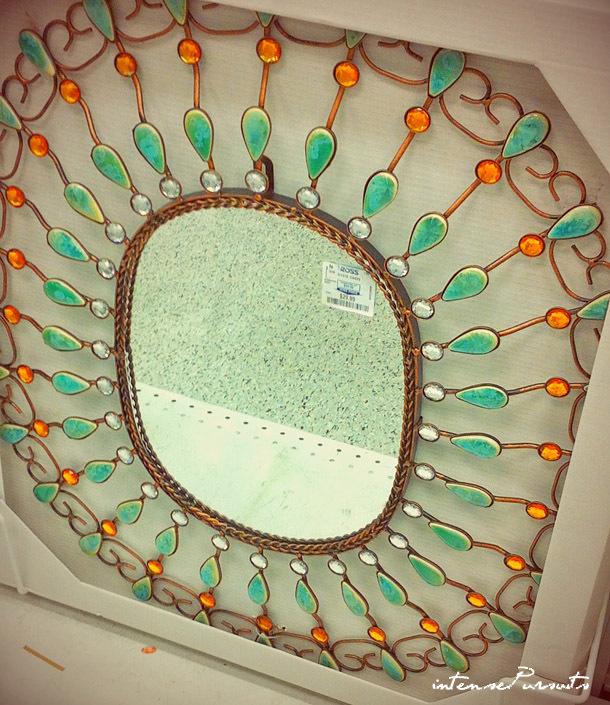 If you absolutely love this mirror, you just might find it currently at Ross stores near you!